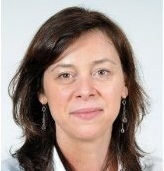 Marie-Agnès Beetschen is VP Sensory & Behaviour Science at Danone. In the past 20 years, she has had the pleasure to work across the world and research consumer needs and behaviours on products as diverse as chocolate, laundry detergents, beverages, toothpaste, and many more! She worked for Nestle and Unilever until recently joining Danone.